New research from the University of Adelaide shows that weight gain and increased head size in the first month of a baby's life is linked to a higher IQ at early school age. The study was led by University of Adelaide Public Health researchers, who analysed data from more than 13,800 children who were born full-term. The results, published in the international journal Pediatrics, show that babies who put on 40% of their birthweight in the first four weeks had an IQ 1.5 points higher by the time they were six years of age, compared with babies who only put on 15% of their birthweight. Those with the biggest growth in head circumference also had the highest IQs. "Head circumference is an indicator of brain volume, so a greater increase in head circumference in a newborn baby suggests more rapid brain growth," says the lead author of the study, Dr Lisa Smithers from the University of Adelaide's School of Population Health. "Overall, newborn children who grew faster in the first four weeks had higher IQ scores later in life," she says. "Those children who gained the most weight scored especially high on verbal IQ at age 6. 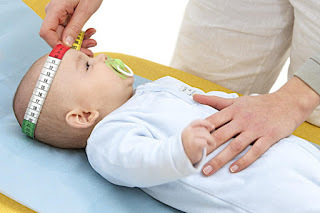 This may be because the neural structures for verbal IQ develop earlier in life, which means the rapid weight gain during that neonatal period could be having a direct cognitive benefit for the child." Previous studies have shown the association between early postnatal diet and IQ, but this is the first study of its kind to focus on the IQ benefits of rapid weight gain in the first month of life for healthy newborn babies. Dr Smithers says the study further highlights the need for successful feeding of newborn babies. "We know that many mothers have difficulty establishing breastfeeding in the first weeks of their baby's life," Dr Smithers says. "The findings of our study suggest that if infants are having feeding problems, there needs to be early intervention in the management of that feeding."